The culinary world is constantly changing, shaped by individual tastes, the availability of certain foods and which foodstuffs are currently fashionable at any given time. Not only is the food we eat subject to trends, but our attitudes to food and the way in which we eat are also influenced by these changes. For example, the rise of on-demand media services like Netflix mean that people are actually cutting back on eating meals in front of screens. as the ability to catch-up on their favourite shows later allows them to “switch off” and be more sociable at mealtimes. Social media also plays a huge part in determining food trends. Services such as Instagram and Pinterest provide amateur foodies with new platforms on which to showcase homemade dinners or fancy restaurant meals. As a result, food has become another way for people to express themselves. Healthy eating played a huge part in the food trends that came and went last year. 2015 was the year of avocado – the most “pinned” food item on Pinterest last year – along with healthy smoothies and spiralisers. So what will be big in 2016? A number of food trends are appearing across Europe, introducing new and exciting ingredients and ways of eating, some of which look set to change the way we view the traditional meal. For many people the term “street food” conjures up images of greasy kebabs from the back of a van, or soggy burgers at a football match. This traditional perception may explain why healthy, innovative and high-quality street food is only just starting to take off in Britain. Convenience and mobility do not indicate of low-quality or lack of innovation, as the finalists in December’s British Street Food Awards have demonstrated with dishes including vegan sushi, soft-shell crab and herring laksa. With street food stalls popping up all over Europe, the trend is showing no signs of slowing down. As demand increases for healthier food, many more diet-friendly options are becoming available, such as those from London-based vendor Feed Me Primal, who serve up delicious 100% natural paleo-friendly meals across the city. Whether it’s Indian, Thai, Chinese or Vietnamese, Asian food is hugely popular across the Western world, and the latest Asian cuisine to hit the mainstream is Korean. 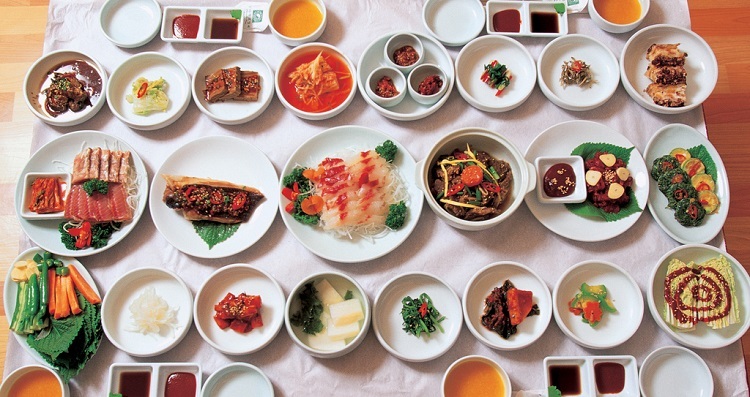 While Korean restaurants have had a presence in Britain since the 1970s, most people in the UK have yet to discover the delights of dishes like kimchi, bibimbap and bossam. Yet with increased availability of ingredients and a rising number of Korean restaurants opening across Europe – including Europe’s first North Korean restaurant in Amsterdam – the cuisine is really beginning to take off in the Western world. Goodbye to the three-course meal? While countries like Spain have often neglected the traditional three course meal in favour of smaller tapas dishes, eaten at any time of the day and often shared between many, this style of eating has never really taken off in the UK. Yet some rising food trends suggest that we are gradually moving away from our traditional attitudes to food. New attitudes: Snacky, informal food to share is becoming more popular. 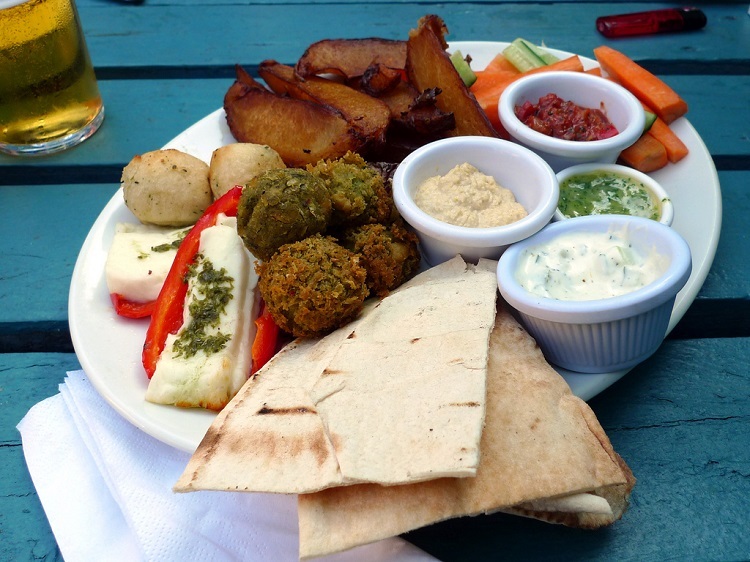 There is increased interest in more snacky and informal street food, and with many restaurants priding themselves on sharing platters and tapas-style dishes, we seem to be heading towards a future in which consumers take a much more relaxed and sociable attitude towards their food. Certain ingredients like celeriac and cacao are beginning to enjoy increased success, with a surge in supermarket sales plus appearances on menus all over Europe. Gourmet tinned food may also come into its own this year, with dishes like marinated anchovies and preserved tapas demonstrating that canned food is not all tuna and baked beans. Savoury desserts, home-smoking and Nordic cuisine are also experiencing a growth in interest, but whether these are just passing trends or here to stay, only time can tell. One thing is clear – the world of food and drink is constantly changing. By being aware of what’s going on and what’s coming next in the culinary world, manufacturers can innovate and keep consumers happy. If you are looking for products that tap into these trends, why not check out our product list, or come and talk to us at SIAL Paris later this year. Korean table from Flickr, under a Creative Commons 2.0 licence. Sharing platter from Ewan Munro on Flickr, under a Creative Commons 2.0 licence.